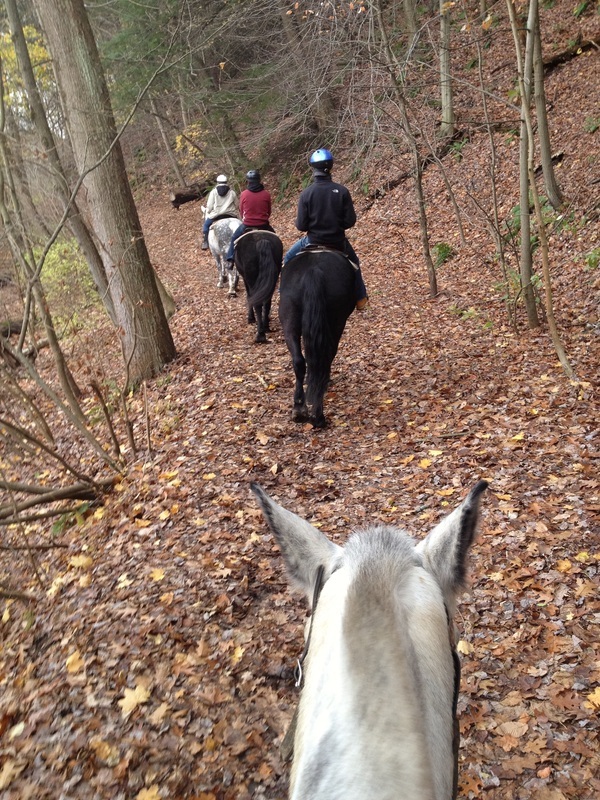 Take a leisurely walk through the trails of beautiful Ellison Park... on horseback! All rides are approximately 45 minutes long and are guided by the Heberle Stables staff. Our well-mannered trail horses make these treks suitable for the first time rider to the most experienced. Riders need to be at least 14 years old and we do not take large groups of young riders. $60.00 cash payment per person due upon arrival. You will be charged on your card a %6 booking fee + taxes. Open from April to November depending on the weather. Sandals are not permitted and long pants are suggested. We provide safety helmets which are mandatory to wear. Must be at least 14 years of age and a minimum of 58 inches tall. Riders under the age of 17 must be accompanied by an adult. Maximum weight per person is 250 lbs. We reserve the right to refuse rental of horse if unsafe situation. We can take up to 4 riders out at time. Trail rides can be scheduled by booking online. Please click the link below to schedule an appointment. Your credit card will not be charged, cash payment due upon arrival. Your credit card will only be charged if it is a no show appointment. The booking fee of 10% for the security will be on charged. 590, exit Browncroft Blvd. Go East onto Browncroft. You will go down a steep hill, at bottom is a flashing yellow light, turn right which is onto Landing Rd. this is ½ mile from 590. Our driveway is immediately on the left. Right at corner of Landing and Browncroft Blvd.